so I don’t “love” or “like” any one of his films. So when I say that I “like” these two movies, take that into perspective, i.e. know that all I mean is that I don’t hate them as much as the public and critics do! Is that clear? Can we move on? Fine! 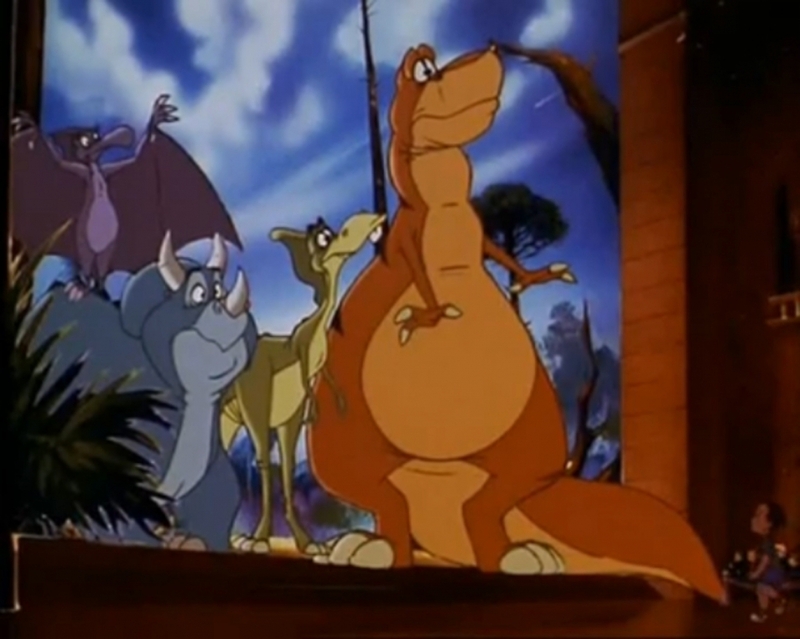 Don Bluth is one of those filmmakers that has to be talked about in eras: his “good” era and his “bad” era. 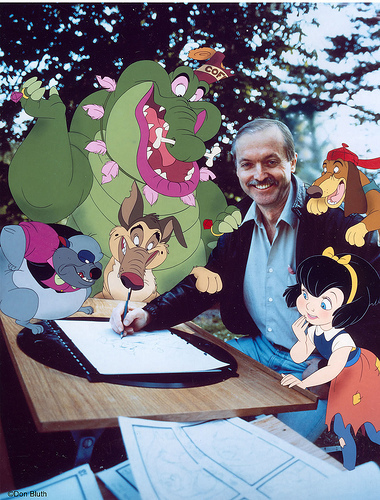 His good era comprises of the films, “The Secret of NIMH”, “An American Tail”, “The Land Before Time”, and “All Dogs Go to Heaven”. His bad era comprises of all his films that came after (with the exception of “Anastasia”). Probably the only time I’ll mention this movie on my blog! And “Rock-a-Doodle” and “The Pebble and the Penguin” are part of his “bad” era. Both films are pretty much hated by the public and both films are definitely hated by the critics. So why do I like these films? Let’s look at them one at a time. I reviewed “Rock-a-Doodle” earlier and you can find the link to my review here, so I won’t talk much about the film. It’s basically the story of Chanticleer, a rooster who always crows to wake up the Sun and hence starts the day. But one day the Sun rises without his crowing and Chanticleer realizes that he never caused the Sun to rise in the first place. There walks a sadder, but wiser…well, just sadder rooster! The first is the animation. It’s not the best animation, but it’s so colorful and uplifting and just puts a smile in your day. There’s just something about the rural likability of it all that gets me! 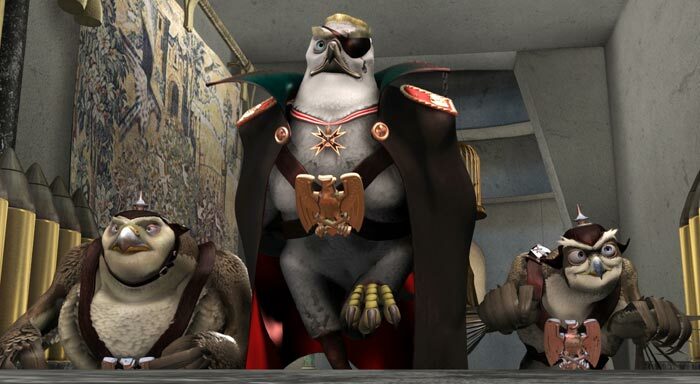 And the second reason is Christopher Plummer voicing the Grand Duke of Owls. He’s probably the best voice actor in a Don Bluth production and one of the best celebrity voice actors that I’ve ever heard. 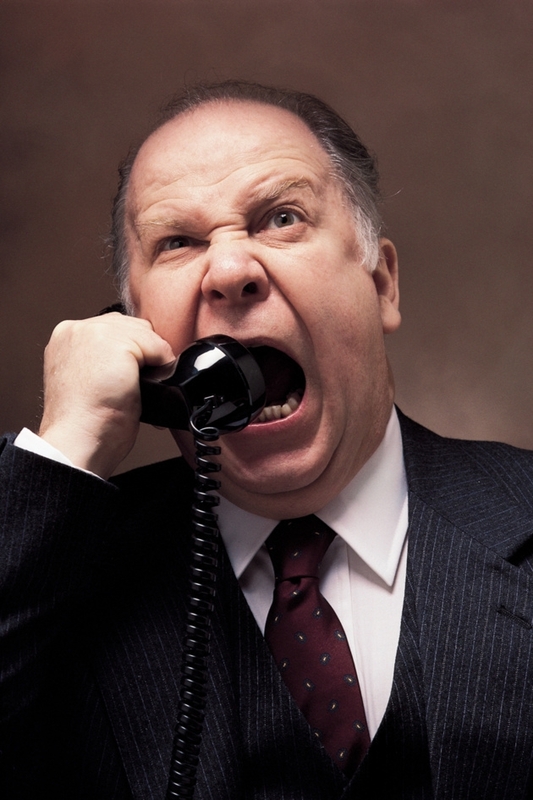 When he talks, you don’t hear an actor at a microphone, you honestly hear the Grand Duke of Owls talking himself. Now, moving on to “The Pebble and the Penguin”. I also reviewed this movie earlier and you can find the link to my review here. The film is about a young, shy penguin who wants to propose to a female penguin and tradition states that this is done by the male giving the female a pebble. Disaster strikes when he is accidentally washed ashore and is caught by a fishing boat. With the help of another penguin named Rocko, he has to find his way back to his home and beloved. Again, this movie is bad, the plot is weak, and even the animation is lacking. But the reason that I do “like” this movie is because it tries hard to be a good movie. The plot ALMOST works, the story ALMOST works, the characters ALMOST works, but they all still fall flat. And it’s for this reason that I admire its effort and hence “like” this movie. Take a guess who the villain of this movie is! If you’ve never seen these films, I’m telling you that they’re worth at least one look. But I’m not guaranteeing that you’ll like them! The first fully CGI Disney film in the Canon was somewhat of a financial success; but the public and the critics didn’t seem to take kindly to this movie! Yet, I enjoyed this movie! From a story point of view, it’s the basic “Chicken Little” story…with aliens! Totally reminds you of a folk tale, doesn’t it? Ok, I admit that’s a bit out of place, but I can’t lie: I DID like this movie! Anyway, I don’t have a lot to say about this movie seeing as I can’t remember it much. But what I do REMEMBER is that I liked it! Maybe when I re-watch this for my Disney Canon Project, my opinion might change. But I’m hoping that it doesn’t. Quiet down! You knew what you were in for before you started reading this post! Ok, like everybody else, I grew up watching cartoons: Walter Lantz cartoons, Hanna-Barbera cartoons, Looney Tunes cartoons, and of course “Tom and Jerry” cartoons! Everybody loves these two characters who are always fighting each other. Of course nowadays, some people complain about the “violent nature” of our favorite cat and mouse duo. You can say that they dealt with this issue head-on! Anyway, the duo was a success and that eventually led to their own film in the early ’90s. And the film was critically and publicly panned! So why do I like this? Well, the main complaint against this movie is the fact that they actually make Tom and Jerry talk, whilst in the cartoons they were nigh perpetually reticent! 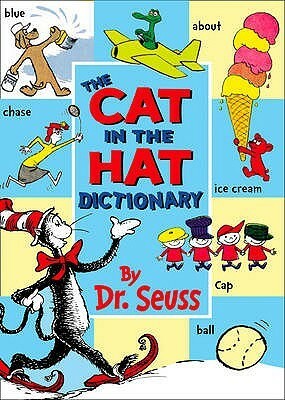 Maybe I should stick with vocabulary from this book! I watched this movie when I was very young and…somehow wasn’t bothered by the fact that they talked, I kinda liked it actually. It didn’t stick out like a sore thumb for me and I guess that I found it to work. 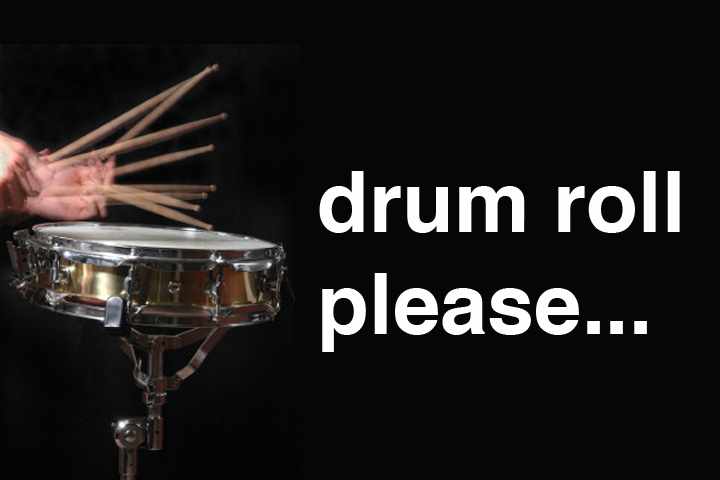 Another complaint is all the musical numbers. Now I’m a fan of musicals and quite love film songs; but I’ll be honest and say that some of the songs in here are plan stupid! But many are NOT stupid and are even quite catchy. My favorite song is the “I’ve Done It All” mainly because I loved to see how many times they could rhyme the word “all”! Another reason why I should stick with this book! Another song deserving of mention is “I Miss You”, which is a song that can get me to cr…almost cry every time I hear it. 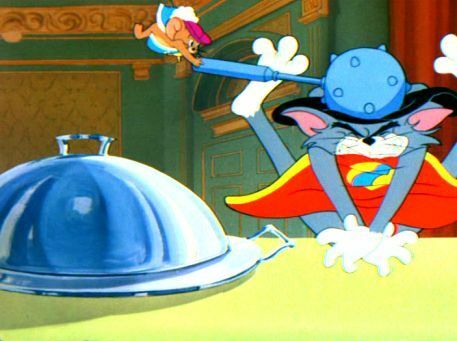 And the last complaint is that even though this is a Tom and Jerry film, the cat and mouse are not the main focus of the movie. There’s actually a young orphaned girl searching for her father and she’s the main focus of the film. And…that didn’t bother me either! I mean as long as Tom and Jerry were in the movie, I was happy! The movie is quite a fun watch in my opinion, but I’m sure yours is different! But honestly, just by looking at this picture, would you think that this is a “Tom and Jerry” film? This is one of those movies that I didn’t know had a reputation for being bad! It was only until I started getting into various bloggers and film critics online did I discover this fact! 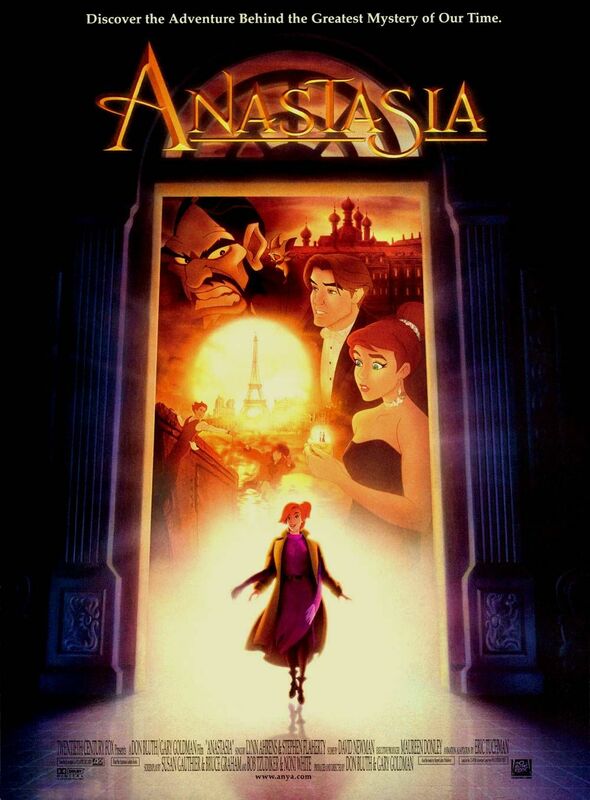 I had grown up on this film and had always loved it! Sure, it’s not perfect; sure, it’s not amazing; sure, it’s incredibly simple; but for what it’s worth, how can you HATE it? It’s the first film released after Walt Disney’s death, so you have to honor it for trying to keep up the legacy! 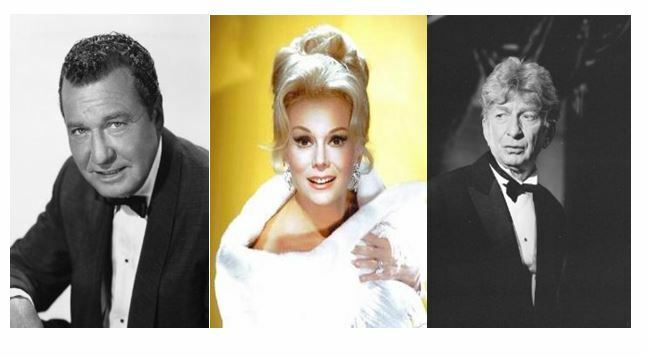 Most of the voice actors and actresses do an amazing job, mainly because they’re common Disney voice actors, such as Phil Harris, Eva Gabor, and Sterling Holloway! A triumvirate of Disney talent! as well as one of the most, if not THE most, underrated Disney song in my opinion, “O’Malley the Alley Cat”! (I’ve talked about it more in an earlier “Top 13” list). 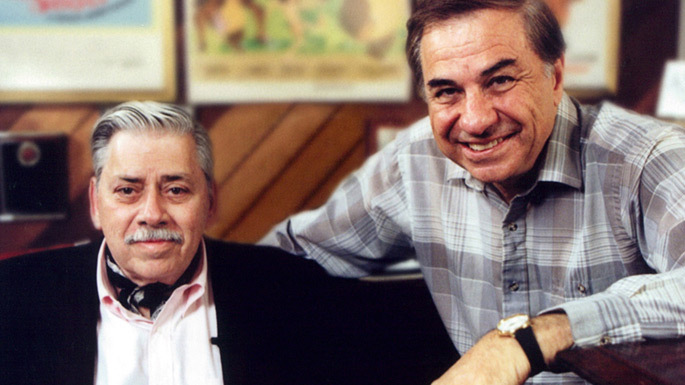 And even if you’re not a fan of the songs, the main fact that they’re written by the Sherman Brothers should put a smile on your face as you hear them! I don’t know what else to say: I love this movie! It’s not one of my favorites, but I still love it! 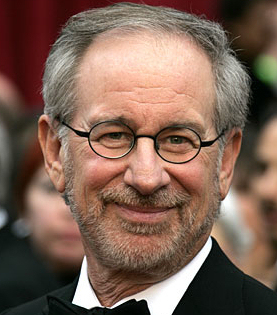 Steven Spielberg decided to join the animation resurgence of the ’90s and opened up an animation branch of his “Amblin Entertainment” production studio and named it, “Amblimation”. 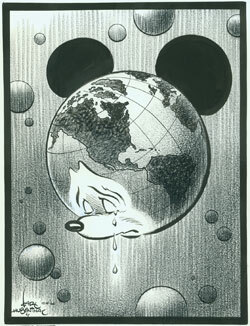 To make it short, only three animated films were theatrically released and their general under-performance caused Spielberg to shut down the “Amblimation” branch. 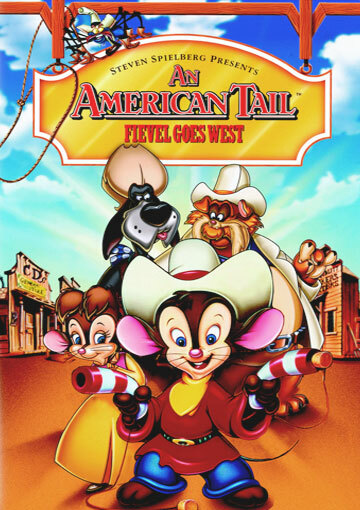 The first sequel to “An American Tail”…I’m surprised this franchise didn’t produce a billion sequels like the “The Land Before Time” series! It’s easy to play “Six Degrees of Kevin Bacon” with this movie! and the film in my #9 spot, “We’re Back! A Dinosaur’s Story”! 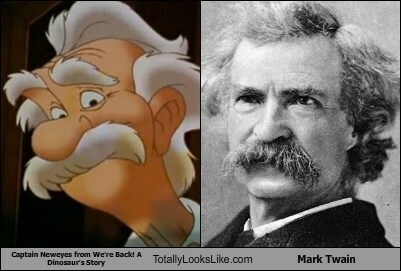 Although this image professes that the striking resemblance is beared towards Mark Twain! 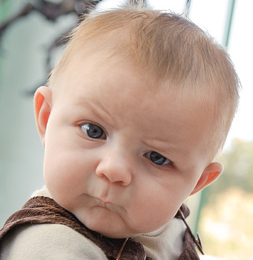 who invents a time machine to bring dinosaurs to the future so that children can be happy! Yeah, the film’s premise is somewhat ludicrous and as you can guess, the critical reception was quite negative. But why do I like this movie? Well, the animation is beautiful! It runs smoothly and the colors seem so rich and deep! I was extremely pleased and amazed with the quality, seeing as I wasn’t expecting much to begin with. I might be the only one who sees this, though! This movie also has one of the most amazing animated scenes ever, kind of like Edgar Allen Poe’s “The Raven” put to animation! Here is a clip of it, but be warned: it’s the ending of the film, so don’t watch it if you don’t want the ending to be spoiled! The voice acting is nothing special, but it is interesting due to the fact that one of the voice actors made her film debut (and only film appearance) in this movie. And that was none other than celebrity chef, Julia Child! An extremely weird casting choice! I dunno, I only saw this movie for the first time quite recently and it quickly became a guilty pleasure of mine! What can I say? I like it, I just do! So, “The Brave Little Toaster” has become somewhat of a cult classic! And there’s no wondering as to how! It’s a somewhat dark animated film that’s somewhat Disney-ish and at the same time, not! So, with the popularity, it was safe to assume that a sequel (or sequels would be made). And they were made…about a decade later! 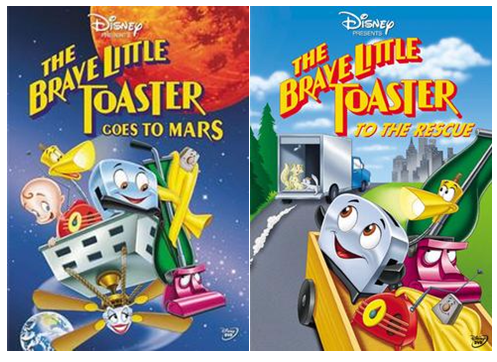 The first sequel released was “The Brave Little Toaster Goes to Mars” which features our appliance friends living with their reunited master and his new wife and upcoming baby. Naturally, this scenario takes our appliance friends to the planet Mars whereon exists a population of even more appliances. Ok, it’s really quite a stretch! That, along with the lack of charm and quality that the original movie had, caused this film to receive negative reviews and ratings. Yet, I still love this movie! Why? Well, I love the characters: both the familiar old ones as well as the new ones. I mean, come on, a refrigerator villain! That’s just cool! Voiced by Alan King to top it all off! The film also features a few memorable and catchy (although, not good) songs that I happen to love! And to top it all of, one of the voice actors in this film is none other than Farrah Fawcett! 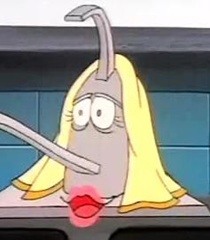 She plays a faucet! Get it?…………Why aren’t you laughing? I’m not sure whether this movie was successful (I highly doubt it), but regardless of success, another sequel was released the year after entitled, “The Brave Little Toaster to the Rescue”. 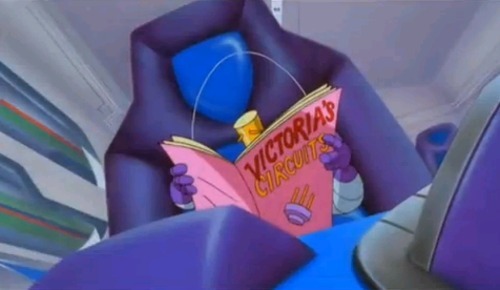 This film is actually a prequel seeing as it takes place before the events of “The Brave Little Toaster Goes to Mars”. In this film, the appliances’ master is in college, typing a thesis paper on his computer when suddenly the computer crashes and it’s up to his appliances to help him recover his lost file all while saving a bunch of animals from being sold! Yeah, this plot is even stupider and flimsier than the last movie; but I still love it, and for the same reasons! It has old lovable characters, new lovable characters, new and catchy (but still not very good) songs, etc. What can I say? I’ve watched these sequels numerous times and plan to see them many more times! Sigh…even the technology is nostalgic! This is another movie that I didn’t know had a reputation for being disliked until I joined the online blogosphere! When this Dreamworks Animation film was released, most everyone saw it as a ripoff of “Finding Nemo”. Wow, a Dreamworks-Pixar battle? Never seen that before! But in actuality, there were no similarities between the two, except for the fact that they both featured fish! Wow, still never seen that before! This film currently has the lowest score on rottentomatoes.com for a Dreamworks Animation film, and it’s no secret as to why: the story is stupid, the story is stupid, and…the story is stupid! And to top it all off, this film is basted with celebrity voices, which is something that I’m staunchly opposed to! So why do I like this? I’m not 100% sure, really! To be fair, I wasn’t fanatically obsessed/knowledgeable about animated films back in 2004, so that may explain why the celebrity voices didn’t bother me! And as for the story….yeah, a Will Smith-voiced fish feigning as a hero is definitely a bad story….and I have no explanation whatsoever as to why I like it! I dunno, sometimes there are movies that you like and you can’t explain why! This is one of them! 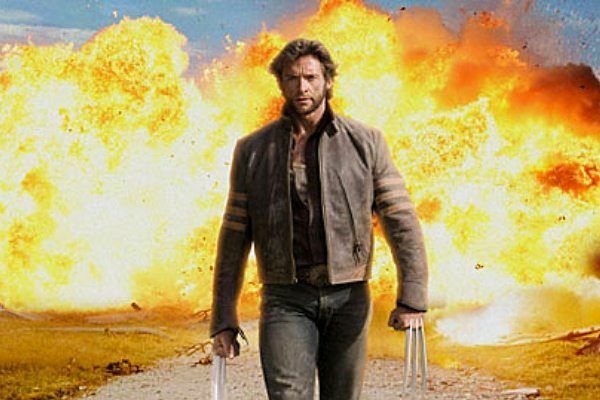 The escape code to exit this blog! 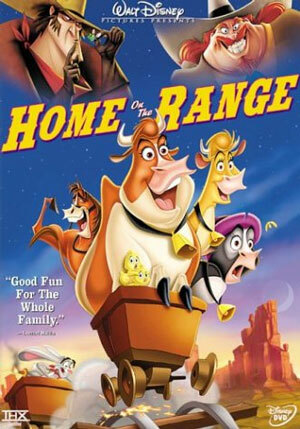 Ok, who here honestly remembers this movie? I thought so! 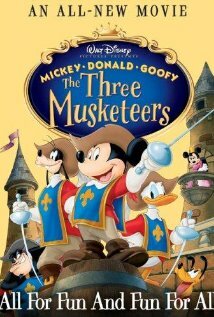 It’s a direct-to-video Disney film produced by DisneyToon Studios that puts classic Disney characters into the world of Alexandre Dumas’ “The Three Musketeers”! Complete with a turtle troubadour! Why do I like this movie? Well, first off, like I said before, it features classic Disney characters in a full-length feature: Mickey Mouse, Donald Duck, Goofy, Pete, Minnie Mouse, Daisy Duck, and Clarabelle Cow (yes, she’s in it)! We all love Disney and what they do, but sometimes we (or at least the present generation) forget the original characters that Disney was built upon and I’m glad that this movie brings them back in the spotlight. And the second reason that I love this movie is that it’s a musical! And not just any musical: All the songs are set to tunes of classic musical pieces (“Can Can”, “In the Hall of the Mountain King”, “Habanera”, Beethoven’s “Symphony No. 5”, etc.)! This makes each song instantly memorable, instantly hummable, and instantly lovable! People may forget this film, but I’m not “people”! I dare you to look at this for a full minute straight without blinking and not get a headache! As I’ve mentioned elsewhere, I was a huge fan of Dreamworks Animation’s 2D animated films and wish that they would have made more traditionally hand-drawn animated films. But beggars can’t be choosers and so I just have to be content with the traditional animated films that they’ve given me and enjoy them all the more. And the very last traditionally hand-drawn animated film that Dreamworks Animation released was “Sinbad: Legend of the Seven Seas”. 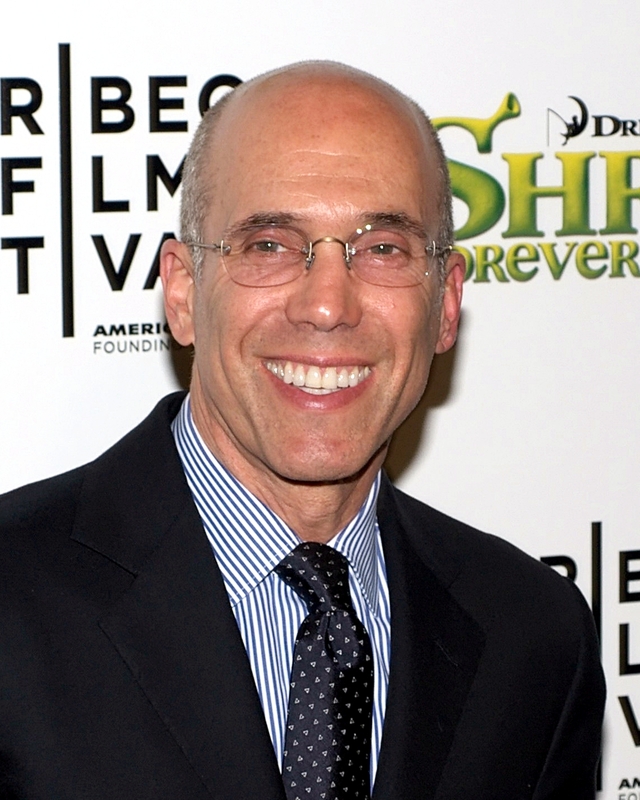 The film didn’t make as much as the studios was hoping for and was the final straw in the decision to make Dreamworks Animation a CGI company. And not only was the box office performance not amazing, but neither were the reviews. Yet, I quite love this film! Even I was surprised that I loved this film! I mean, what’s not to love? 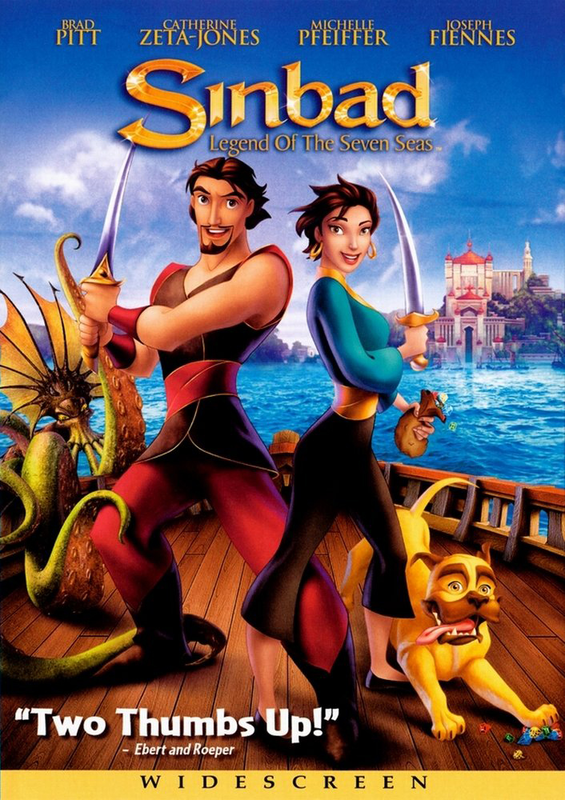 It’s a kind of action-adventure film based on the character of Sinbad the Sailor! That’s amazing, right there! The animation is simply gorgeous! 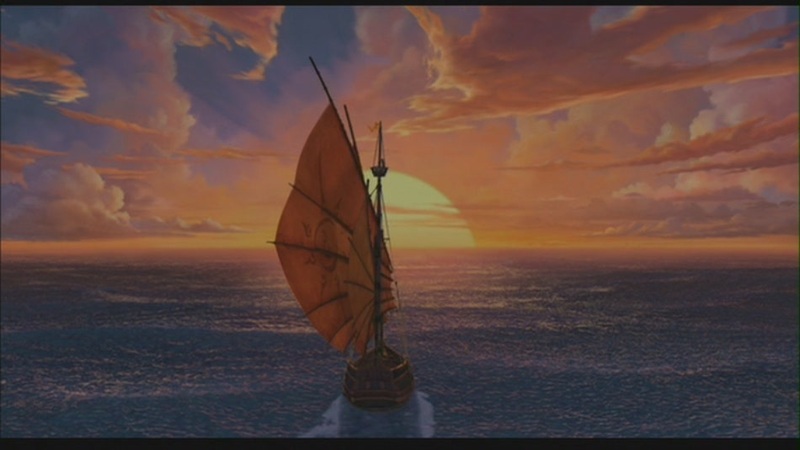 The use of CGI along with the traditional animation makes it simply breathtaking…for its era of release, at least! Yes, it does fall prey to celebrity voices; but they don’t bother me all that much! 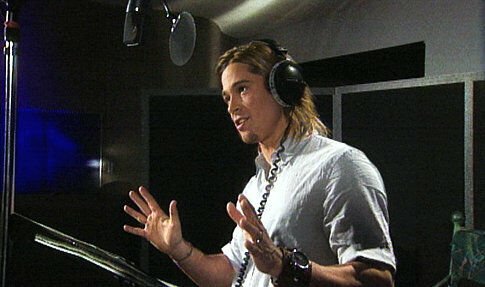 No, Brad Pitt, that does NOT give you the permission to continue doing animated films! But to be honest, I haven’t seen it in a long time; although I’m sure that if I re-watch it, I’ll still enjoy it as much as I remember to have enjoyed it! Yes, I understand that these are direct-to-DVD films! Yes, I understand that the animation is horribly sub-par when compared to the original “Aladdin”! 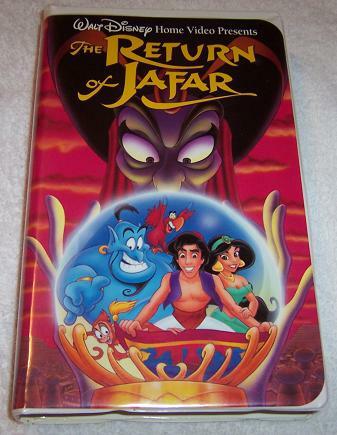 And yes, I understand that Robin Williams didn’t return for “The Return of Jafar”! It’s called “The Return of Jafar”, not “The Return of Robin Williams”! 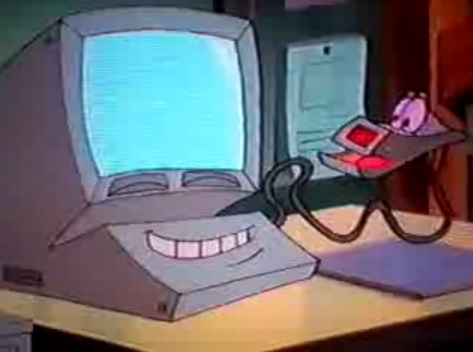 And I…ooh, VHS! Pretty! But, I still love these movies! Let’s take a look at each! 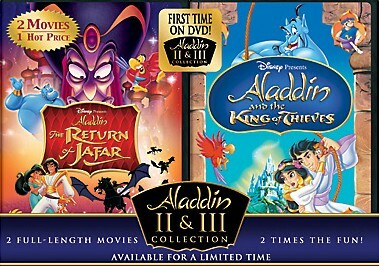 The first one is “The Return of Jafar”, Disney’s first direct-to-DVD animated film. 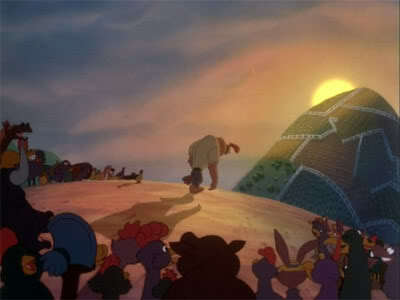 It tells the story of Jafar returning to seek revenge on Aladdin and the others. Granted the plot isn’t that substantial, so why do I like this movie? 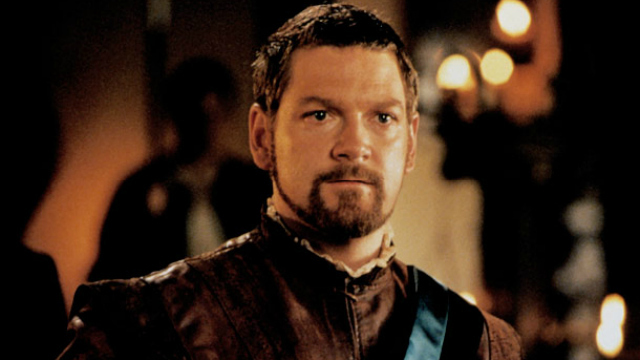 Well, Iago becomes a good guy! If only this one can follow suit! And many of the songs are quite catchy and fun to sing along to! Yes, they’re not Renaissance-quality, but for what they are, they’re highly enjoyable! Much better than any song from this film by far! The final reason for liking this movie would have to be nostalgia. I grew up watching this direct-to-DVD sequel over and over again, before I even knew what Disney quality and the Disney Canon were! Yes, nostalgia may be a weak reason, but it is a reason, nonetheless! 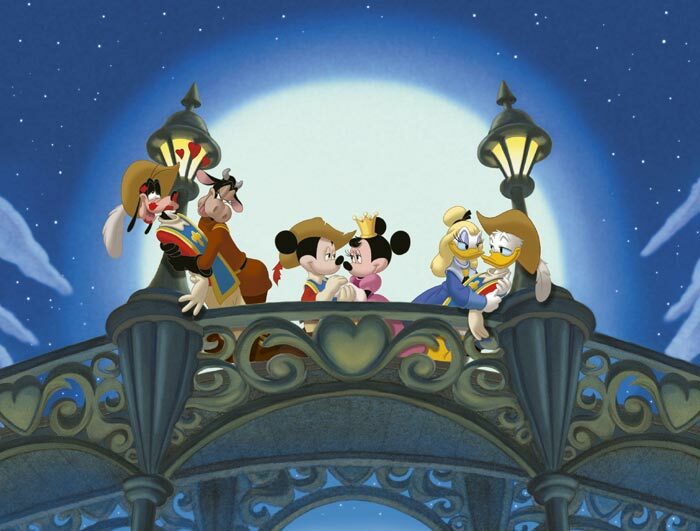 The second movie is “Aladdin and the King of Thieves” which FINALLY lets us see Aladdin and Jasmine get married! Well, the wedding is ABOUT to happen, when suddenly a gang of infamous thieves drops in uninvited and starts looting and plundering! Naturally, this comes as a horrible blow to Aladdin and the gang, but it’s not the only blow! Aladdin later finds out that his father, Cassim, long-presumed dead, is actually alive! And not just alive, but alive and possessing a direct connection with the thieves that ransacked the wedding! And it’s up to Aladdin to find out the truth and get his wedding back on schedule! Ok, I pray that you can understand why I love this movie! 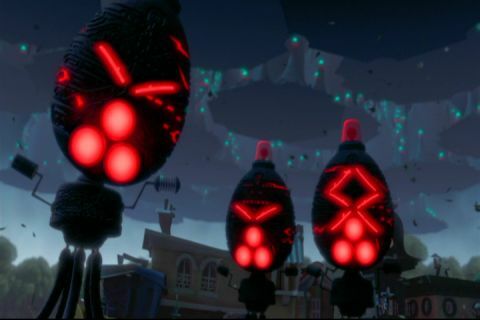 The plot is extremely interesting when compared to “The Return of Jafar”; the animation is much, much better; and the songs are just as catchy and memorable! 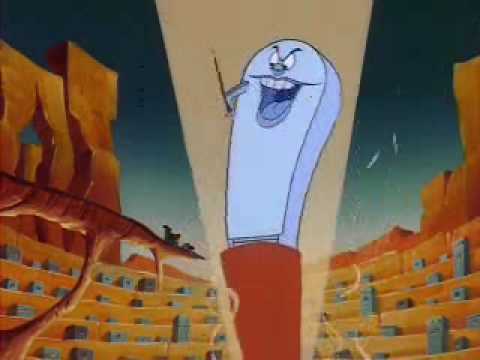 And to top it all off, you have Robin Williams voicing the Genie again! What can I say? I shall never abandon Aladdin and Jasmine or anything related to their franchise! Come on ladies, I know at least one of you must be falling for Aladdin’s father! This is another movie that I think has been forgotten over the years. 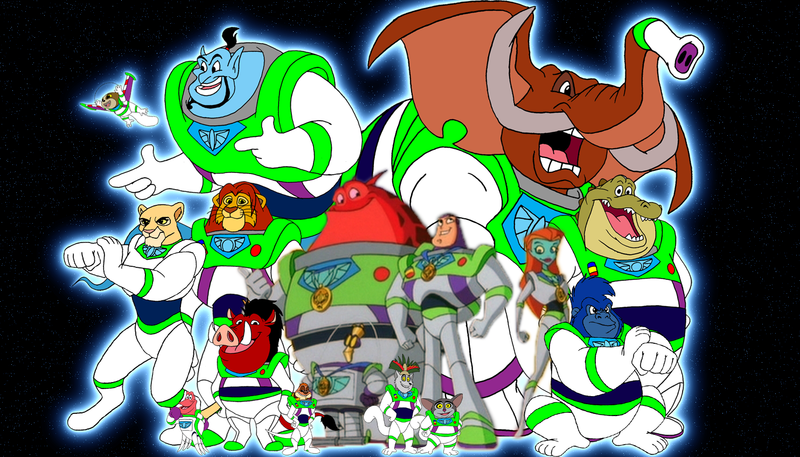 When the “Toy Story” craze was around in the late ’90s, Disney did their best to cash in on its success and popularity. 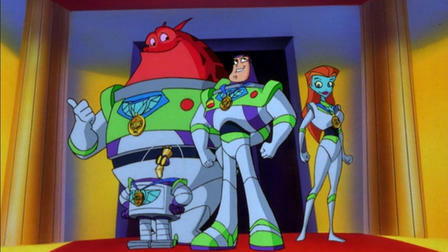 One of their endeavors involved releasing a direct-to-DVD traditionally animated film that focused on the life of Buzz Lightyear while he worked for Star Command. And I absolutely love this movie! It’s impossible to forget any of these characters once you’ve seen them for the first time! I dare you to try! and fun outer space action and scenarios! It even served as the pilot for a short-lived animated TV series of the same name! Keepin’ the title simple for the kids to remember! And although people may not hate this movie, I don’t hear anybody ever talking of this movie or the TV show based on it! It’s like it just got eradicated from memory! Hopefully, seeing it on my list will cause many of us (me included) to obtain a copy of this film and watch it again! Is it bad that I actually love this pun? What’s not to love about this movie? I just don’t get it! The film is inspired by the use of war pigeons during WWII and tells the story of…war pigeons during WWII! And not just any war pigeons, but British war pigeons! Oh the film also features evil German falcons! Many respected British comedians and thespians lend their voices to this film including Ricky Gervais, John Cleese, Hugh Laurie, Ewan McGregor, Tim Curry, John Hurt, and Jim Broadbent. The voice cast alone makes me love this film! Oh, this film also features French mice and doves! I don’t really know what else to say! This film manages to tell a war story from an animated perspective with a stellar voice cast and good animation! Watch this movie if you haven’t already! 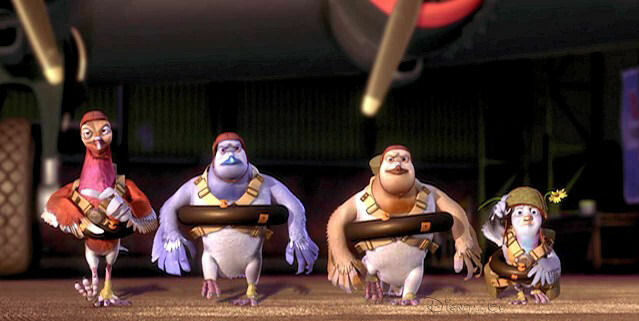 Or else I’ll send this platoon…umm…flock of pigeons after you! That sounded a lot more threatening in my head! Why, oh why isn’t this movie more popular? I know that it was a direct-to-DVD film, but this film SHOULD have gotten a theatrical release! Trust me, it’s THAT good and enjoyable! It’s the basic story of our friends in the Hundred Acre Wood who go on a perilous quest to find their friend Christopher Robin after they misinterpret a note that he’d left for them. Hmm, does that sound familiar? It does? You know why? BECAUSE THEY TOOK THE SAME DARN IDEA AND USED IT FOR THE “WINNIE THE POOH” FILM! How do I loathe thee? Let me count the ways! 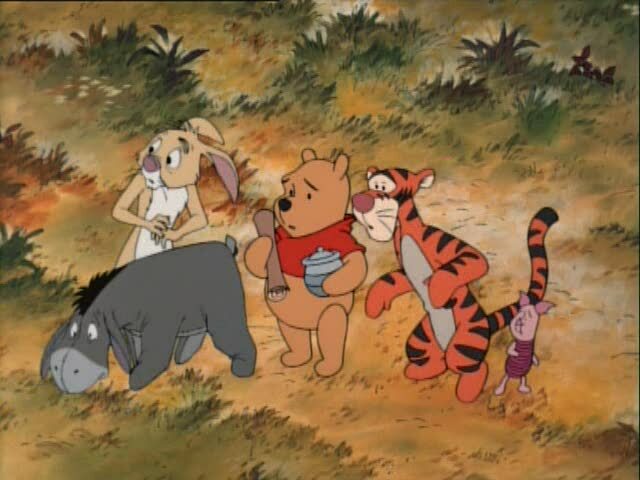 The story works out to be an incredible adventure for our friends in the Hundred Acre Wood, which automatically makes the movie exciting. 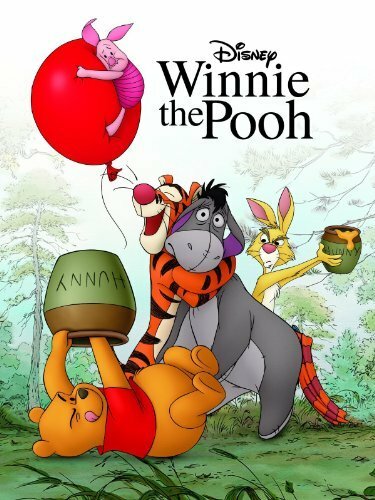 Yes, there were complaints about this being too dark/scary for a “Winnie the Pooh” film, but honestly, I watched this when I was young, and never thought the film had gone too far in the scary department! If anything, the danger presented in the movie made me want to watch it even more! I mean, just look at this! 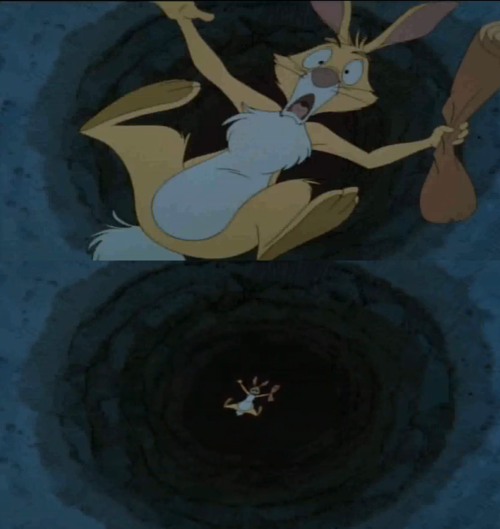 Rabbit falls into a presumably deep hole to his apparent doom! Or does he? Doesn’t that excite you and make you curious to know the outcome? I know you’re at least tearing up! Don’t deny it! The animation is not amazing; but it’s pretty darn good given the circumstances! It’s your typical “Winnie the Pooh” animation! What else can I say? This film should be a household name in every house! Anyway, we’ve reached the end of the list! I hope you all enjoyed it! Feel free to comment below on whether you agree with me or not. 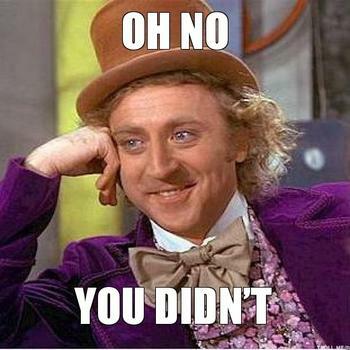 Or you can tell me what animated films you like, but everyone else doesn’t. You can even give me ideas for future “Top 13” lists that you’d like to see! I know how you love my lists 😉 ! 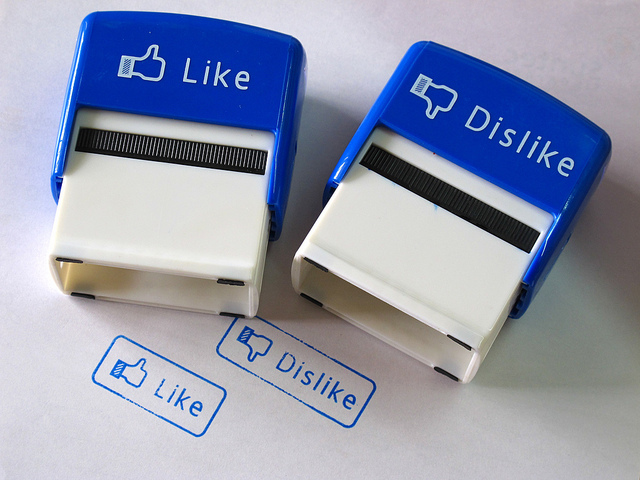 Glad to know that I’m not the only one to like these! 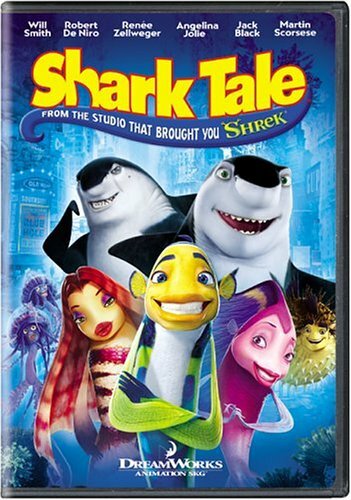 Oh, and it’s “Shark Tale”, not “Fish Tale”. And “The Aristocats”, not “The Aristocrats”; “The Aristocrats” is wayyy dirtier, lol! I forgive you this time 😉 ! I actually like some of these movies a lot! 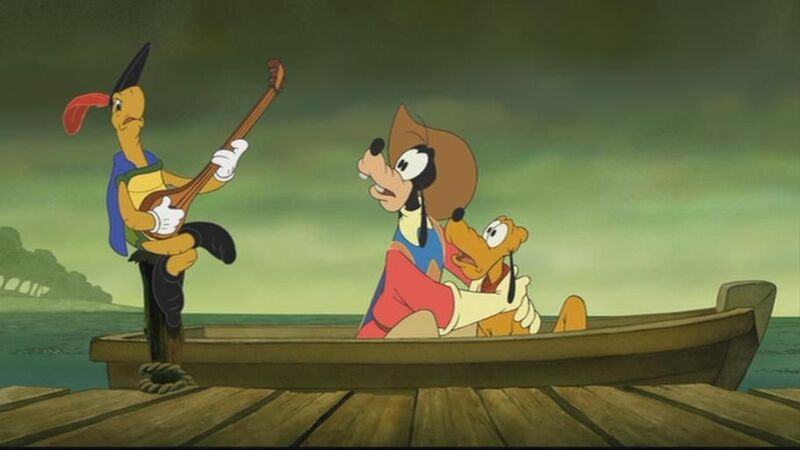 I thought I was the only one who remembered the Mickey, Donald, and Goofy Three Musketeers! It was my childhood favorite! Glad to see I’m not the only one. Glad to know I’m not the only one either, lol! Yeah, I figure that there will be a lot of people who’ll agree with my choices. What a list! 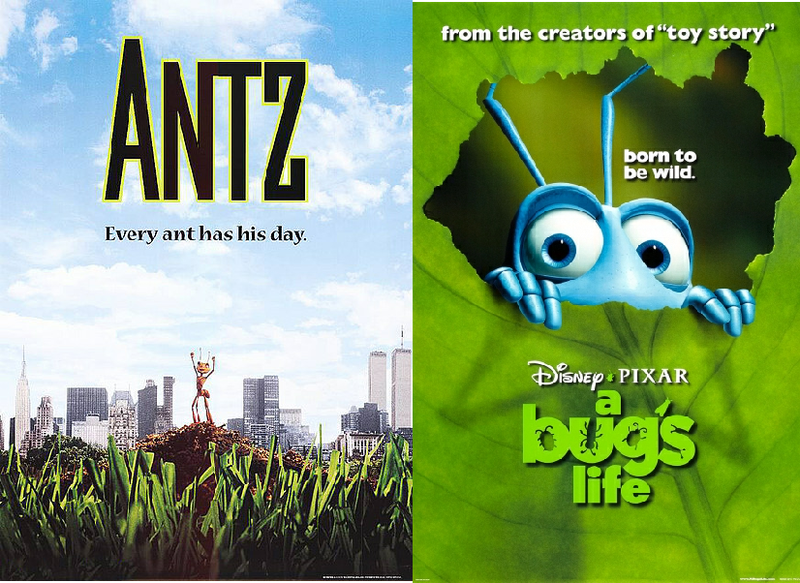 I liked The Aristocats, Antz, Aladdin and the King of Thieves, and Chicken Little. I didn’t see some of the others. Others I um didn’t like (Shark Tale–please don’t stone me). Don’t worry, if anything, people are going to stone ME! Remember that this is a list of movies that I like, but everyone else DOESN’T. 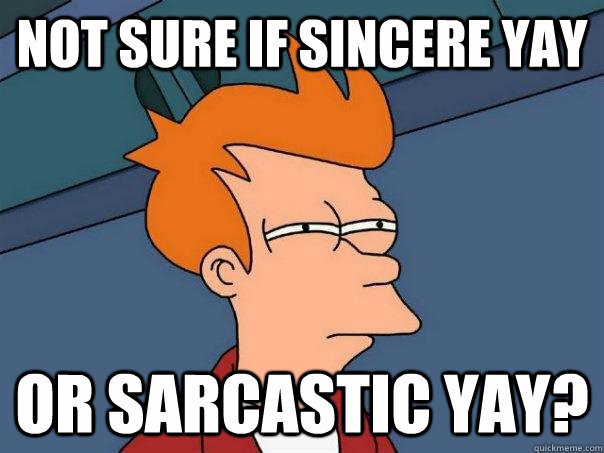 Hence the majority of people are like you and dislike Shark Tale. And Antz wasn’t on the list, lol! 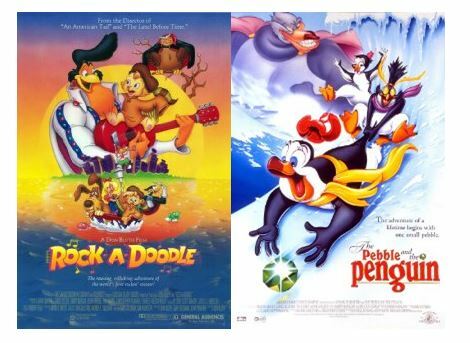 ~I’ll admit that I haven’t watched Rock-a-doodle or The Pebble and the Penguin but I do have them in my Netflix queue! That counts for something, right? 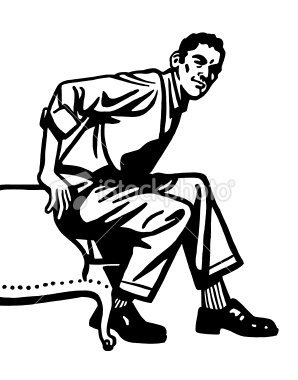 ~My mother-in-law took my youngest to see Chicken Little in the theater when she was 5. They ended up leaving 30 minutes into it. ~Tom and Jerry talked??? Yeah, that’s not ok with me. ~Aristocats was a favorite with both of my girls even tho they are 6 years apart. It’s one of the many that we watched over and over and over and… yet I still like it and yeah, I like the O’Malley song too 🙂 But I think I like when the geese say “Walk this way” and the kittens imitate them. That makes me giggle every single time! ~I’ve also never seen We’re Back or the sequels to The Brave Little Toaster but I think those are in my queue too. Still counts, right??? ~Really like Three Musketeers for all the reasons you give. As for the rest, you’re on your own man. I LOVE Winnie the Pooh but am still not a fan of that one. Great blog! I’ll keep coming back! Thanks for commenting and I’m glad that you like my blog 🙂 ! Let’s just say that “Rock-a-doodle” and “The Pebble and the Penguin” are not worth paying any money for, but it’s your Netflix queue. You’re free to do what you want regarding it, lol! 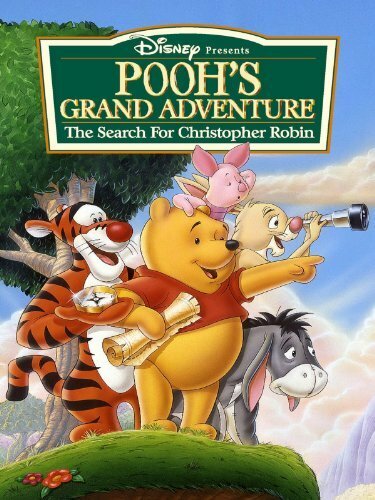 May I also ask why you don’t like “Pooh’s Grand Adventure: The Search for Christopher Robin”? I never could understand why people didn’t like it, so maybe you can explain it to me, lol. Interesting list. To be honest, I have not heard about half of these, but out of the ones that I know about, “The Aristocats” has the best reputation (though still not a good one). I heard some REALLY bad things about “Rock-a-doodle” and “The Pebble and the Penguin” on the internet, so I did not even bother watch them. 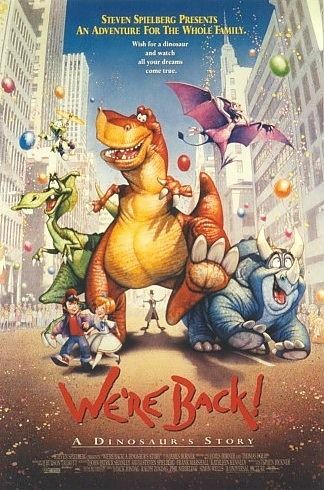 The only ones I watched were “The Land Before Time” (and its many sequels), and “All Dogs Go To Heaven” (and its sequel). 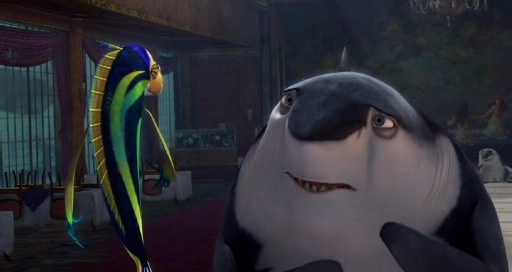 I also never new about the amount of hate Shark Tale got before I became obsessed with animated films sites and blogs. I only enjoy the Aladdin sequels, the Pooh sequels, and very mildly Shark Tale. Keep up with the great work. Thanks for replying 🙂 Glad you liked the list and blog 🙂 ! 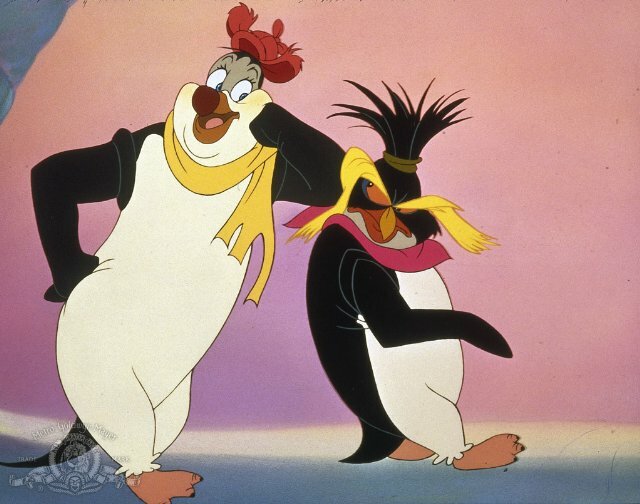 Oh, “The Pebble and the Penguin” and “Rock-a-Doodle” are horrible, and I don’t “like” them, like I said in my list, but I just don’t hate them as much as everyone else does. 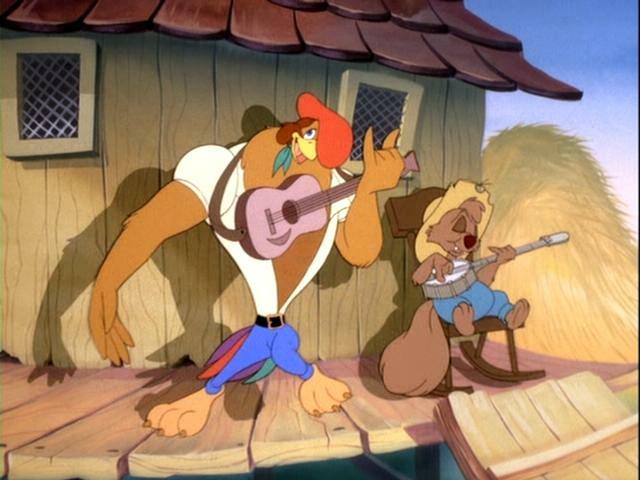 Rock A Doodle had better animation than We’re Back overall. There’s just something about the colors and solidness of “We’re Back” that gets me feeling good! I hated “An American Tail: Fievel Goes West” and “Balto”. The only thing good about the former was that it had Jimmy Stewart as a voice 😀 ! Glad that you liked the list! 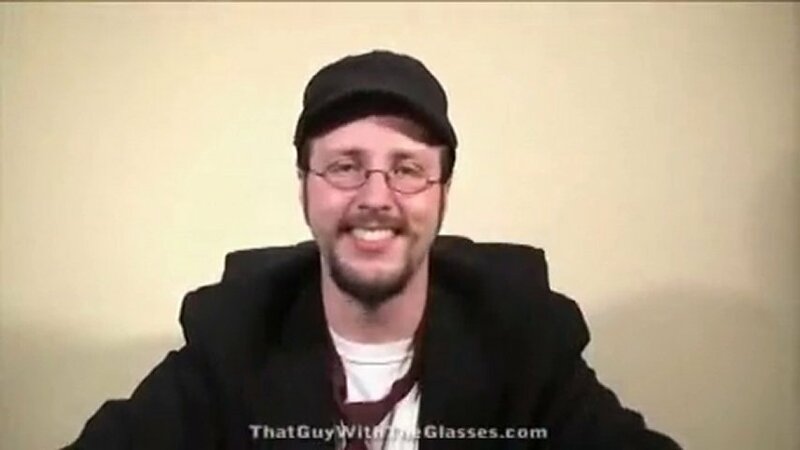 I’d love to see you review those two movies one day. 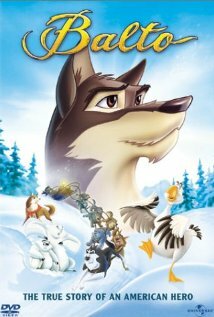 I like Balto but I believe it could have been a much better movie. My favorite thing about it was the comedic relief; Boris the snow goose had me giggling often. I don’t like giving my thoughts on movies that I’ve seen before, because I think only the thoughts that I get regarding the movie after I see it the first time are pure and genuine. But there’s still hope that I give my thoughts on the other “Balto” and “An American Tail” sequels, since I haven’t seen them yet. I (and my kids) enjoyed both Aladdin sequels (what’s not to love about the Aladdin franchise?!?!) as well as the Winnie the Pooh movie. 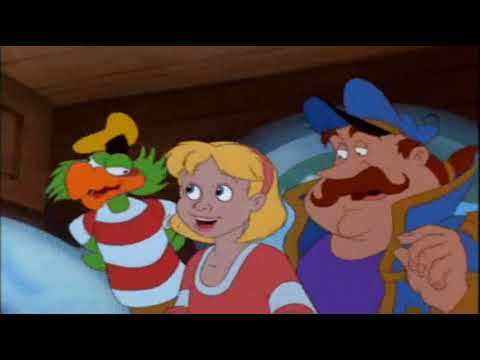 Oh, and Chicken Litte, my kids were kind of obsessed with that movie for a while, but I’m not sure why. Aristocats is alright, not really a favorite, but it’s alright. Yeah, there’s something not quite right about having an obsession for “Chicken Little”, lol! J/k, no offense to you or your kids 😉 ! I quite enjoy “The Aristocats” and could watch it a number of times before I get tired of it. Yeah, they were on some sort of kick when they saw it the first time that they kept asking for it for about a week. But that’s since dropped and they haven’t asked for it since! But they really liked it for a while!! Ha ha! It IS kind of cute. Great to hear the brilliant Three Musketeers get a credit (i would have put it on my list, but kept it to theatrical releases) and the Aladdin sequels. and Chicken Little “I am the champiooooon!”, love that. K.
Glad you liked it 🙂 ! Yeah, I have a separate “Top 13” list for my favorite Disney Canon films (basically the theatrically released animated Disney films). Yeah, that was a sad song! I think there are a lot of people out there (me included) who like the Aristocats. It’s more a children’s than a family movie, though. But it’s fun. 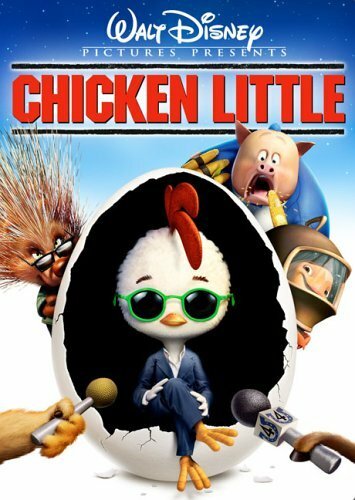 Chicken Little frustrates me, because I think this could have been a really heartfelt and creative movie, but they just HAD to throw in a mass of pop culture references and stupid puns. And I think what happens to Foxy is terrible, it makes me really, really uncomfortable. But otherwise…I don’t think the movie is THAT bad. 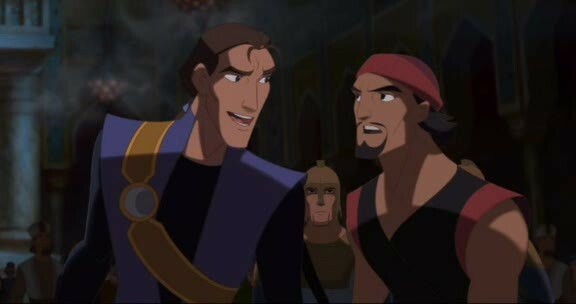 Aladdin and the King of Thieves is actually the only cheapquel I consider genuinely good. Not “should have been in theatres” good, but it’s a really nice TV movie and a good end for the TV show. It even closes with the peddler, concluding a lose threat of the original movie. The three Musketeers…I actually watched the short exactly the same day you made this post. Well, I did it because I had to decided if I should include it in my current “By the Book” review series. I don’t think I will though, but not because I think it’s bad, but because the whole short is deliberately not about the book at all. And The Search for Christopher Robin…I haven’t watched it. There are just to many Pooh movies, and none of them reach the heart and the quality of “The many Adventures of Winnie Pooh”. I might give it a shot if I come across it, though. All the other movies on your list…yeah, I agree with the population, they are crap (don’t know the Toaster sequels, though). Thanks for commenting 🙂 ! Do you have your own blog, since you mention a “By the Book” review series? Yeah, that’s why I put “The Aristocats” pretty far back on the list, since it’s not unanimously hated. And also this list wasn’t ordered in terms of the ratio of how people feel about it to how I felt about it; rather it was ordered just by how much I liked these movies. Do you consider “The Lion King 2: Simba’s Pride” to be any good? Why does nobody like Valiant, lol?! Not really….for starters, they did to much rearranging what happened in the first movie just so that this one could even happy. The story in itself is very predictable. It’s not as awful as most of the other sequels, but that doesn’t make it “good” by any stretch. I give it the music though, that’s decent. I actually haven’t seen a good portion of the movies on this list. But I do love the Aristocats! I was also surprised to hear that it wasn’t well received. But I learned that because it was released after Walt’s death, a lot of his original ideas were changed after he died and they movie isn’t anything close to what he envisioned. So I think a lot of people, especially people that worked with him and knew him at the time, resent the film for that. 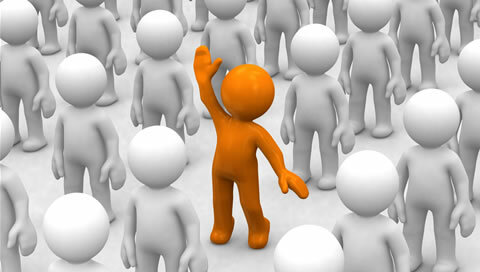 Thanks for commenting and welcome to my blog! 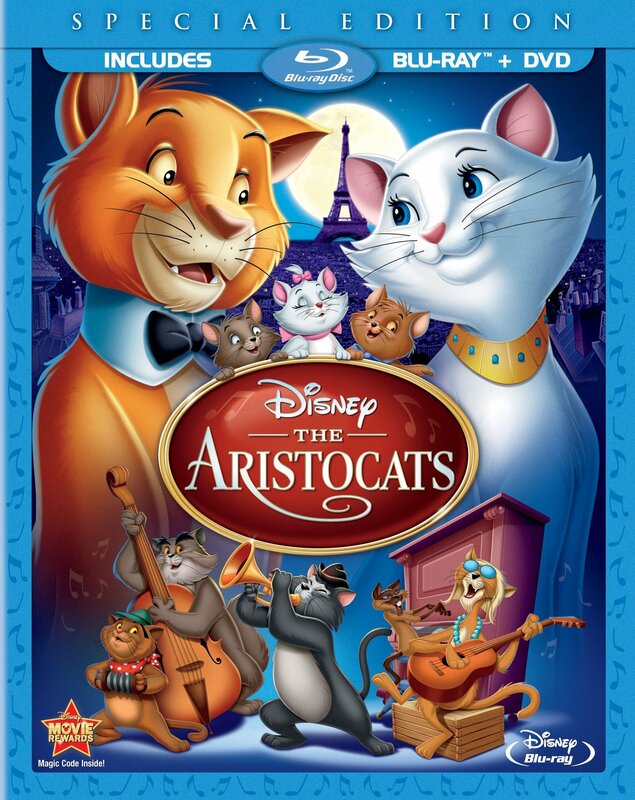 This is the first time that I heard anything about “The Aristocats” being dramatically changed from what it was originally meant to be, so I can’t comment on it. If you’re interested in learning more, the book the Vault of Walt has a chapter on it. It’s interesting! I need to check that book out! Thanks! Yeah, I read an article about The Aristocats months ago, and it was entirely different. Walt wanted it to be about Duchess sending her three kids to a place where their talents would be used and where they would be happy. It was supposed to be a lot more heartfelt, but things changed completely when he passed. Well, I don’t “LOVE” it like I said, but I dislike it a LOT less than the average person. That’s a nice way to put it. Nice list! I loved the aristocats as a kid, bit surprised anyone could label it ‘bad’ 🙂 I know what you mean on Shark’s Tale though,awful story, but somehow still works. Just not to be taken too seriously I guess! Yeah, I too was shocked that “The Aristocats” has a bad rep amongst critics. Thanks for reading! I actually enjoyed The Aristocats, the Aladdin sequels and Tom and Jerry: The Movie too! I know they’re probably “bad.” But, hey, they kept me entertained. A bit late to comment on this one, but whatever. I’ll admit that the Toaster sequels aren’t that bad compared to the other DTV sequels that were coming out at the time, but compared to the original movie, they lack the atmosphere and emotional levels the first film brought to the table. Better late than never! And that’s understandable! 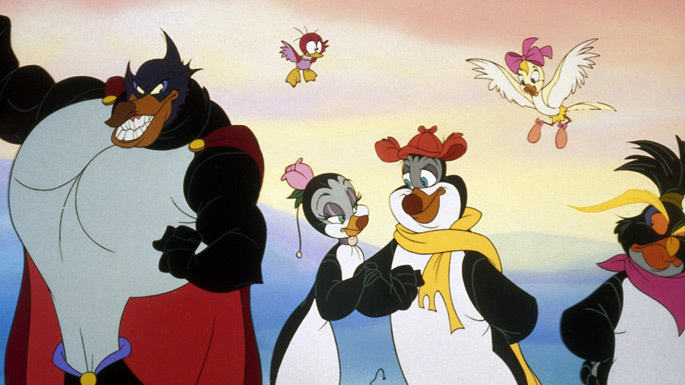 I don’t remember Rock-a-doodle or Pebble and the Penguin, but I’ve seen it and I think I like it. I hated Chicken Little though lol. I saw it for the first time two months ago. And I have seen almost every classic animated Disney movie (except Winnie the Pooh (2011), Bolt, Meet the Robinsons, Wreck it Ralph, and Zootopia) But this one goes to the bottom of the list lol. The older Chicken Little is way better. I’ve never seen Tom and Jerry. I love The Aristocats. I love Duchess and her voice cast. She also played Miss Bianca. I can’t believe people don’t like this film. I’ve heard a lot of accusations that it was racist, but I don’t believe that. The entire cats were all different ethnicity and portrayed stereo-typically , and 3 of the 5 were white races lol. And, the cats were the good characters who helped save the day anyways. I’ve seen We’re Back! and I remember liking it, but I don’t remember it. The same for The Brave Little Toaster sequels. The Shark Tale isn’t my favorite Dreamworks movie, but I did like it. I’m really surprised that people didn’t like this film. I thought it was really popular. I love The Three Musketeers. I thought it really nice. I loved Sinbad. It’s one of my favorite Dreamworks movies. Its an epic movie. The Aladdin sequels were one of the better Disney sequels. Number 3 was by far better than number 2, but number 2 was still good. I loved number 3. I would watch it all the time. 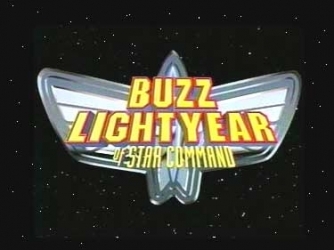 I watched the Buzz Lightyear cartoons, but I didn’t really care for it. I’ve never seen the movie though. 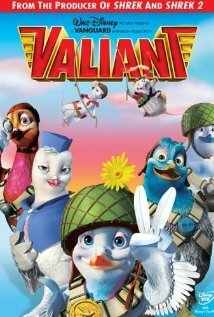 I’ve never seen Valiant. I know I am commenting on an old post, but it just triggered so many childhood memories of mine. First of all, it is an amazing list. I was practically brought up on that Brave Little Toaster, and have actually seen the sequels too – loving everything. I completely forgot about them all until now. And, who, on earth, could dislike the Aristocats? I also didn’t know they have had “bad reputation”, strange – I love it too. 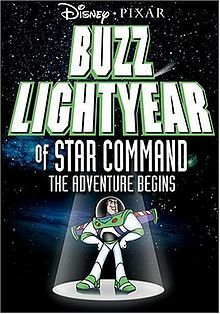 Moreover, since I became a fan of Buzz while watching, I am also a “fan” of his movie – Buzz Lightyear – I remember little about it, but I remember I enjoyed it immensely when I saw it. I am sure the films you mentioned have been marketed beyond the US, etc. and I have to say that some of them are definitely more popular and liked in other countries. 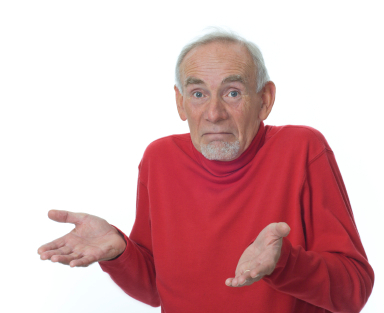 Hey, it’s better to comment on old posts than to comment on no posts, right? I’m glad others agree with me about the Brave Little Toaster and these other films. Yeah, a lot of people put The Aristocats near the bottom of their list when ranking the Disney Canon, because they see it as a lot of fluff and not much else. You and I disagree, of course, lol. Some of these movies are ones I’m surprised have such a negative reputation surrounding them too. I’m pretty fond of The Aristocats. 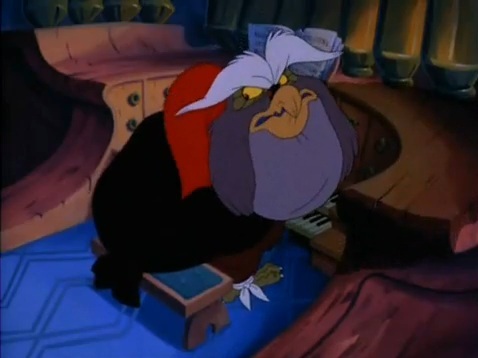 Rock-A-Doodle I admire for how batshit crazy it gets and I admittedly feel out of all his bad works, I think Pebble and the Penguin is the least bad. I kind of like the songs. The Aladdin DTV sequels are the best ones made, no doubt about it (though I haven’t seen Cinderella 3 yet and people say that’s the best one). I liked We’re Back and The Tom and Jerry Movie when I was a kid and didn’t see anything wrong with them. Now they’re guilt pleasures (though secretly, compared to the DTV Tom and Jerry movies out there I think the theatrical one is the best. It’s not just 70 minutes of slapstick combined with being shoehorned into a classic story). Yeah, I was surprised to know that The Aristocats has a level of dislike as did the Tom & Jerry Movie and Pooh’s Grand Adventure. 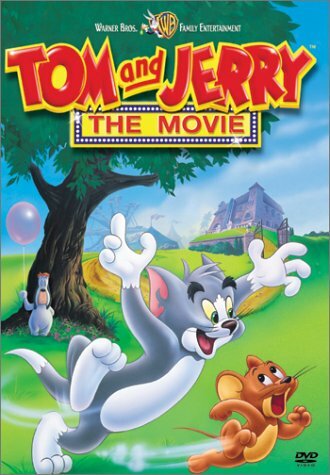 I haven’t seen any of the Tom and Jerry direct-to-video films yet and that’s probably for the best. Previous Previous post: “Monsters University” Passes! Next Next post: Surprise Coming Soon!